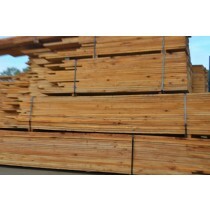 Cypress is a small-to-medium softwood used in many building projects. This includes framework, posts, small poles, chamfer boards, weatherboards, flooring and decking just to name a few. This material is termite resistant which is the main reason it is used for structural purposes. Cypress has a very distinctive and strongly persistent odour, straight grain and a fine and even texture.